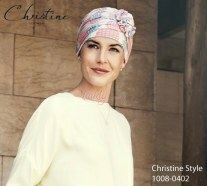 Soft headscarf with long ribbons, it transforms every time into a different turban according to your desires. The cap is enriched with ears-deep curling stitchings and a small elastic band on the nape to guarantee you maximum comfort and handiness. Reversible two-coloured model. You can wear it knotted on the nape or on a side of the face with soft ribbons down on the shoulders, or knot the ribbons around the head as you like. 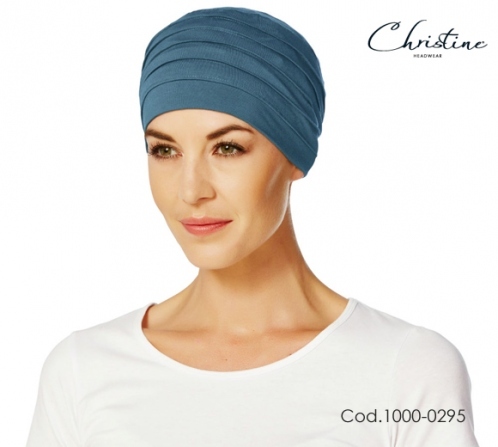 This model is reversible: you can wear the cap in the plain colour version with two-coloured ribbons, or turn the cap on the contrary in the two-coloured version.